The Wiwi Jury — our in-house panel of music unprofessionals — continues to rate and review the 41 competing entries of Eurovision 2019. Next we head to Poland where the “white voice” singing quartet Tulia has “Fire of Love (Pali się)”. Did they light our fire? Read on to find out! William: High impact and in your face, Tulia unleash a tsunami of sound from beat one. The aggressive tonality doesn’t relent, creating a sense of urgency and thrust as these in-tune and on-point women sing of neglected hearts coming back to life through love. The sparse production has a playful, old-school feel. Paired with the traditional elements it creates a thoroughly likeable and somewhat playful package with major heart. Tulia sing that one small spark can become a flame. Well, these four sparks are strong enough create a bonfire. It’s the most surprising earworm of the year. Antony: This song has an ingenious mix with the traditional choral singing and rustic sound. Personally, I would prefer the kind of traditional Polish music that would typically go with this kind of vocal. Whilst there is a lot of vocal ability, I fear that many people might perceive it as shrieking and not find it palatable. It is the kind of song that can be appreciated but not one where you would find yourself reaching for the replay button. Julian: As soon I heard the first seconds of Poland’s song, I immediately fell in love with the traditional and cultural touch. But that love dried out as the song progressed and I really found it annoying by the end of the three minutes. There is no rest from their screaming. I know that it is traditional singing technique and I also love that they sing mostly in their mother tongue. After hearing it several times, I like it a bit more but the live performance will show if I can fall in love with the whole song. Antranig: I appreciate the musical risk that Poland are taking here. I’m thankful for them adding some much-needed traditional flavour to the mix. The voices of the four singers work together beautifully. There is an almost cult-like quality to their chants — it feels like something you’d sing around a campfire at a seventh-grade school camp. Come May, I expect juries and televoters alike to respect Poland’s unique entry. Florian: When I first heard the studio version of the song, I was left more confused than happy about the song choice. As time went by, I still feel some sort of distance with this song. However, Poland does have a hand in presenting their entries in a way that gives people the excitement they need, resulting in some big televoting scores. If they drop another stellar performance in Tel Aviv, this song can take them back to the final in May. Pablo: This song is made to listen no more than a certain number of times — any more time and it will grate on you like sandpaper. This wall of sound is overwhelming and easy to grow tired of. Props for Poland and Tulia for bringing a folk-punk flavour, but it’s not packaged for mass appeal. The lack of solo harmonies makes the vocals feel shallow, and the English part is unintelligible, unremarkable and unnecessary. They will make you stop and listen, but that will only be for two seconds for many people. We have removed the highest and lowest scores prior to calculating the average. This is to remove outliers and potential bias. We have removed a low of 2.5 and a high of 9.5. I’ve played it more than 10 times and i still wasn’t bored ? Okey… so it’s different, it’s traditional, it’s modern, but for me it feels more annoying than interesting. Those voices are way too high-pitched. That said, their live performance in Amsterdam was perfect and it doesn’t sound that bad live, so I think Poland will qualify. I think this one is going to surprise a lot of people. It is in my top 5 and if it makes it to the final, I can see a lot of people voting for it. It is instantly memorable and if Eurovision in Concert is anything to go by, it will be visually arresting. I can see it doing really well. 8.5 from me! Go Tulia! William, hunnaay, i’m totally with you! I have it on repeat the whole day, on the speakers or inside my brain, deffo my number 2 or 3. How much did they pay you this time? Love or hate, it’s going up for me. I think this will be one of the darkhorses. It’s original, unique and shocking. When I listened to it for the first time i hated it. I am sure they will qualify. They are authentic and sing well.well done Poland! I hated it when I first heard this, but I’ve grown to quite like this. Their singing was always great for me, and they sounded amazing in Amsterdam. However, I can’t help but feel that the instrumental is quite dated and not very daring, but in combination with the vocals it is really daring. This will do a lot better with the televote than the juries, but this could qualify, but not higher than 8th place in the semi. I am ready for another massive downvoting, but “Pali sie” is unfortunately not for me. There are aspects of the song that I can appreciate, such as the ethnic background and the stylism the girls from Tulia have but, overall, I do not enjoy listening to it. Sorry, Poland, but you cannot compete against my love for Micha? Szpak’s “Color of your life” and, with my deepest regrets, this year you are landing very low on my personal list, at number 40. I like the traditional dress, the native language and the use of Polish culture. However, song wise, this is an assault on the ears. Sorry Poland. I would love for you to win one year, as Warsaw and Krakow would be excellent host city’s. However it won’t be this year. They will qualify, because imo Semi 1 is quite predictable as to who will qualify. But it will be torn apart in the final. 4/10 …the 4 is simply for the ethnic celebration. The fact Wiwi ranked this higher than Ireland shows that the fandom have serious taste issues. My comment got filtered. If any moderator could help freeing it, I’ll appreciate. 🙂 Spoiler: it landed in my top 10. Sorry but I find this painful to listen to. I like the traditional element of it but it’s just screeching for me. u either love or hate this song, i’m #teamtaste so i love it. their style of signing and the hammering folk instrumental make it an awesome track. Pali Si? is and underrated masterpiece. Unique and catchy. Their voices and music are amazing. The harmonizing is nice but it’s appeal is limited. A 4/10. An Ok running order slot and not the greatest diaspora power to choose from in semi 1 just add 1 point. So I’d assess for it to have a 50% shot at qualifying ! Their dresses are magnificent. They should get the Anti-Barbara-Dex-Award. By far the best Polish entry ever. Tulia low key became one of my favourite entries of the year. It’s weird, it’s unnerving, it’s something never heard at Eurovision before. They’ve got charisma, uniqueness, nerve and talent and deserve a spot in the top 10 on Saturday night. I’m surprised by such a warm reaction, as I consider it one of the most dividing songs this year. Irritating to some ears, pleasant to other ones. 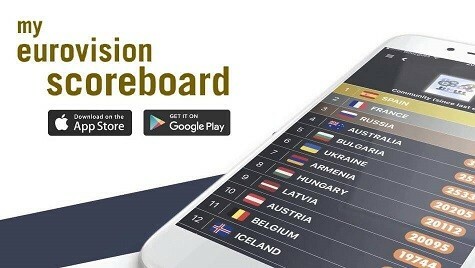 Whether we’ll end up last in the semi, or in top 10, I’m proud, that we’re representing our culture and beautiful language, a singing technique that’s not that popular even in Poland itself (I guess it’s typical more for the eastern part of the country). I just hope the staging will be dynamic, colourful, not repetitive and focused on the girls. I like it now. Didn’t at first. Don’t think that it qualifies. Will put a lot of people off. One of the most interesting songs this year, I like it, I give it an 8. In my top 5 now. This song is both likeable and unbearable at the same time hahaha. So true. I am both yes and no at the same time on this song.